6 "Designing a Circular Economy," The Parliamentary Office of Science and Technology, United Kingdom Parliament, September 2016, p. 1. 7 "Circular Economy," The Ellen MacArthur Foundation, https://www.ellenmacarthurfoundation.org/circular-economy, accessed December 7, 2016; "Designing a Circular Economy," The Parliamentary Office of Science and Technology, United Kingdom Parliament, September 2016, p. 1. 8 Maxine Perella, "10 things you need to know about the circular economy," The Guardian, https://www.theguardian.com/sustainable-business/10-things-need-to-know-circular-economy, accessed December 7, 2016. 9 Maxine Perella, "10 things you need to know about the circular economy," The Guardian, https://www.theguardian.com/sustainable-business/10-things-need-to-know-circular-economy, accessed December 7, 2016; "Circular Economy System Diagram," The Ellen MacArthur Foundation, https://www.ellenmacarthurfoundation.org/circular-economy/interactive-diagram, accessed December 7, 2016; "Towards A Circular Economy: Business Rationale For An Accelerated Transition," November 2015, The Ellen MacArthur Foundation, pp. 7 and 8. 10 "Towards A Circular Economy: Business Rationale For An Accelerated Transition," November 2015, The Ellen MacArthur Foundation, pp. 7 and 16. 12 "Towards the Circular Economy Vol. 1: Economic and business rationale for an accelerated transition," The Ellen MacArthur Foundation, 2013, pp. 38 and 66. 13 "A circular economy case study: Collaboration for a closed-loop value chain - Transferable learning points from the REALCAR project," Cambridge Institute for Sustainability Leadership, January 2016, pp. 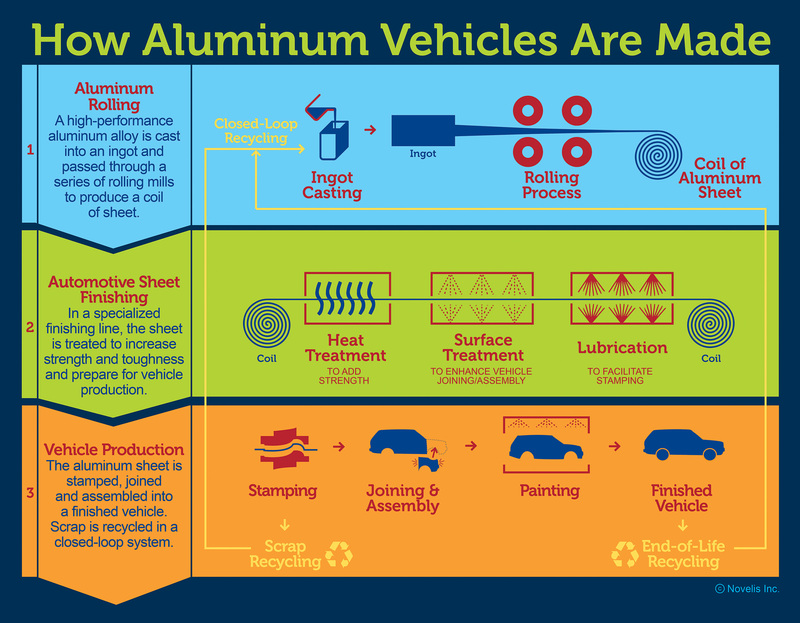 2-4; "How Aluminum Vehicles Are Made," MultiVu , http://www.multivu.com/players/English/7755351-novelis-jaguar-rc5754-recycled-aluminum-alloy/image/how-aluminum-vehicles-are-made-1-HR.jpg, accessed January 4, 2017. 14 "Novelis Wins European Aluminium Award at ALUMINIUM 2016 Trade Fair for Pioneering Closed-loop Recycling System," Novelis, http://novelis.com/media-center/news-releases/novelis-wins-european-aluminium-award-pioneering-closed-loop-recycling-system , last modified November 29, 2016. 16 "Kalundborg Symbiosis: Effective industrial symbiosis," The Ellen MacArthur Foundation, https://www.ellenmacarthurfoundation.org/case-studies/effective-industrial-symbiosis, accessed December 8, 2016; "Kalundborg Symbiosis wasn't invented, but has developed organically over the course of five decades.," Kalundborg Symbiosis, http://www.symbiosis.dk/en/evolution, accessed December 8, 2016; "Some of the largest industrial enterprises in Denmark are partners in Kalundborg Symbiosis.," Kalundborg Symbiosis, http://www.symbiosis.dk/en/partnere, accessed December 8 , 2016; "Diagram," Kalundborg Symbiosis, http://www.symbiosis.dk/en/diagram, accessed December 8, 2016. 17 Noel Brings Jacobsen, "Industrial Symbiosis in Kalundborg, Denamrk: A Quantitative Assessment of Economic and Environmental Aspects," Journal of Industrial Ecology 10(1-2) (2006), pp. 241 and 242. 20 "A Circular Economy in the Netherlands by 2050," Government of the Netherlands, September 14, 2016, p. 15. 23 "A Model for the Circular Economy in Hong Kong and the Pearl River Delta," Hong Kong General Chamber of Commerce, February 21, 2010, p. 28.